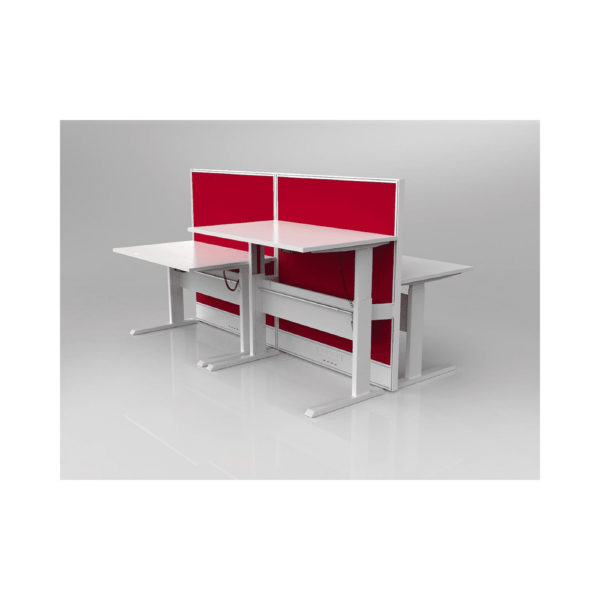 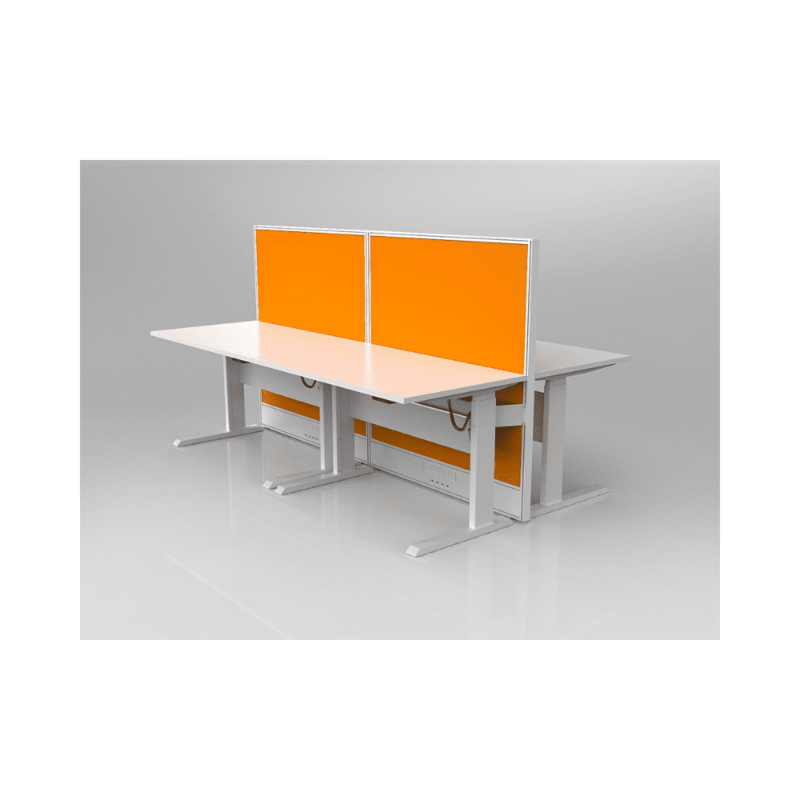 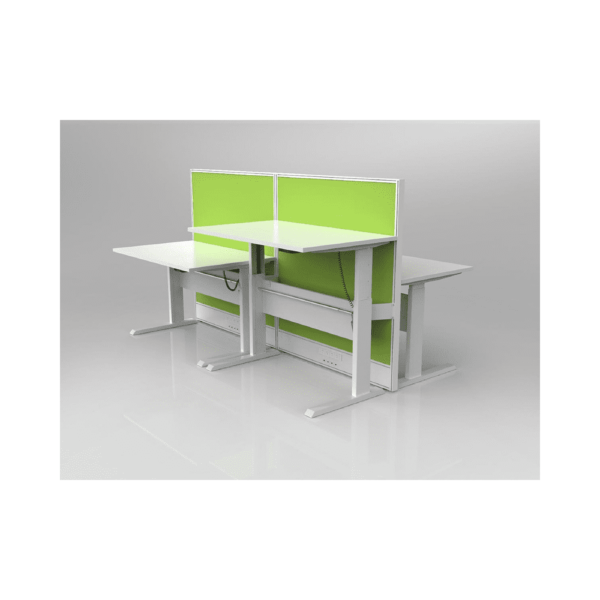 Axis Electric Highrise Double Sided Desk and Screen setting with 4x worktop size of 1500mm x 750mm. 25mm Studio White worktops with ABS edge. White Powdercoat, flat foot design. Powered height adjust from 685-1205mm with up/down rocker switch. 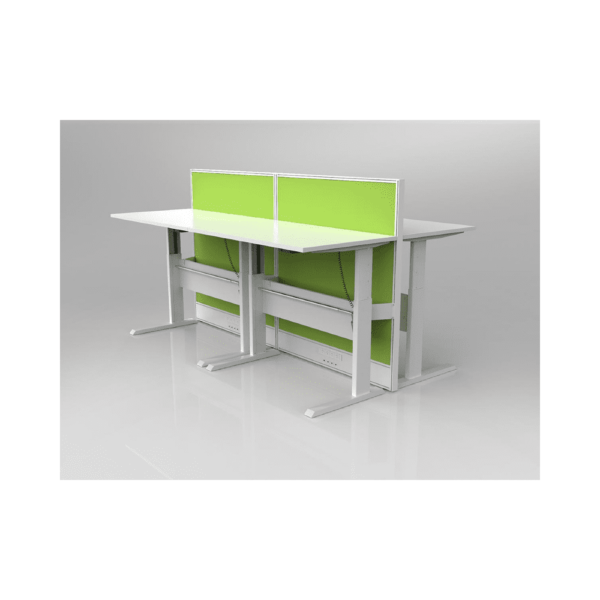 Includes modesty panel, stiffener bar, brackets and cable ducting with holes punched for GPO & Data outlets.  White Powdercoat Flat foot leg. Studio screens 1350mm high upholstered in Breathe Fabric.